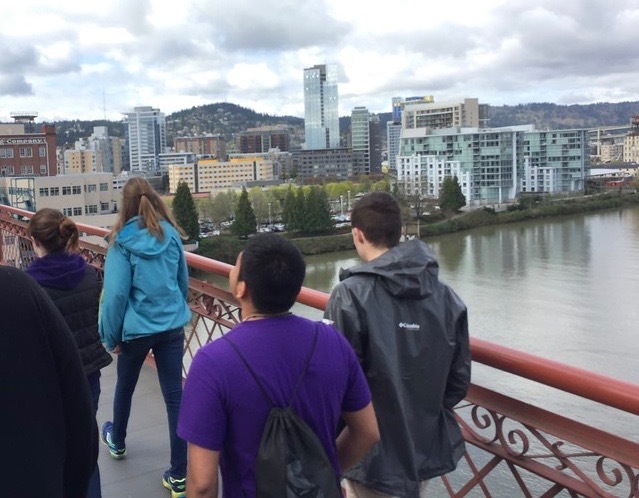 Campus Ministry at the University of Portland provides opportunities for all members of the community to grow in awareness of God’s presence and God’s invitation to communion. For Christians this includes growing in the capacity to know, believe and live out the Good News of Jesus Christ. This flows from our grounding in the Catholic tradition inspired by the charism and spirituality of the Congregation of Holy Cross. Need prayer? Visit our Prayer Request Page! 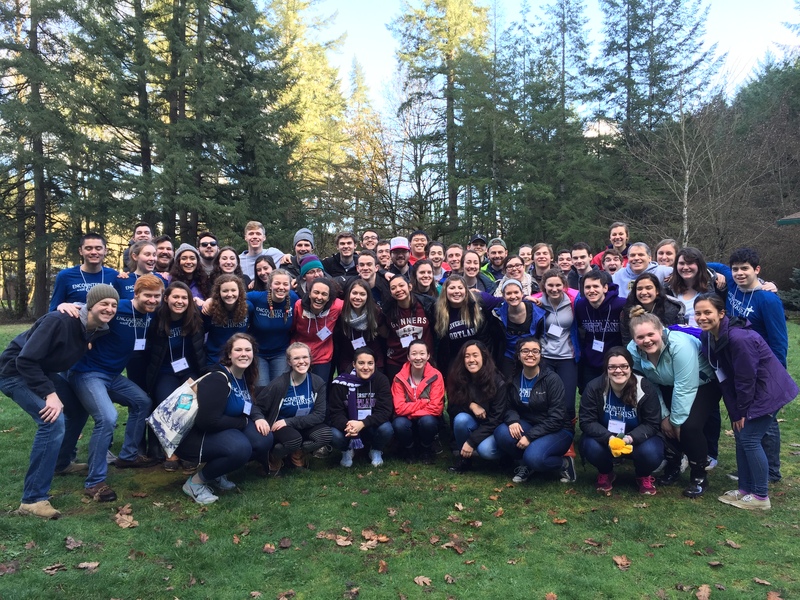 To learn about upcoming Campus Ministry opportunities, subscribe to our newsletter. Please see the following link for a complete list of liturgies and other prayer opportunities happening during Holy Week. 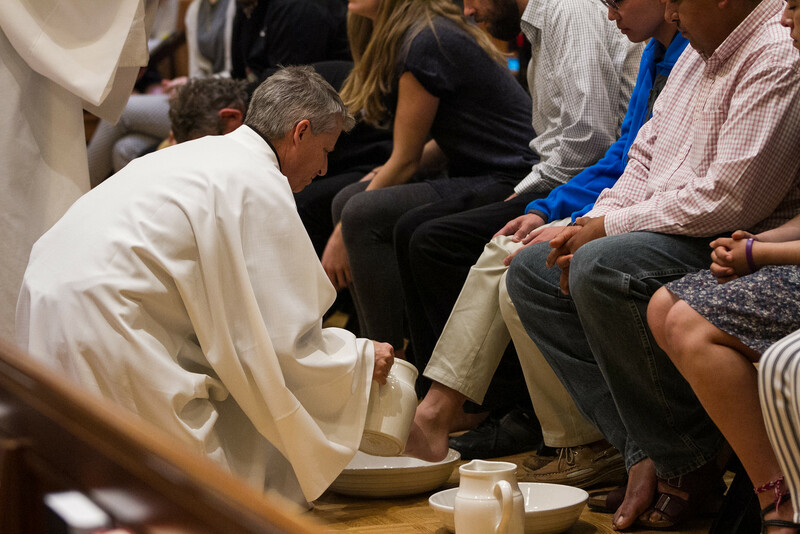 The Easter Triduum begins with the Holy Thursday Mass of the Lord's Supper at 4:30 pm in the Chapel of Christ the Teacher (April 18). 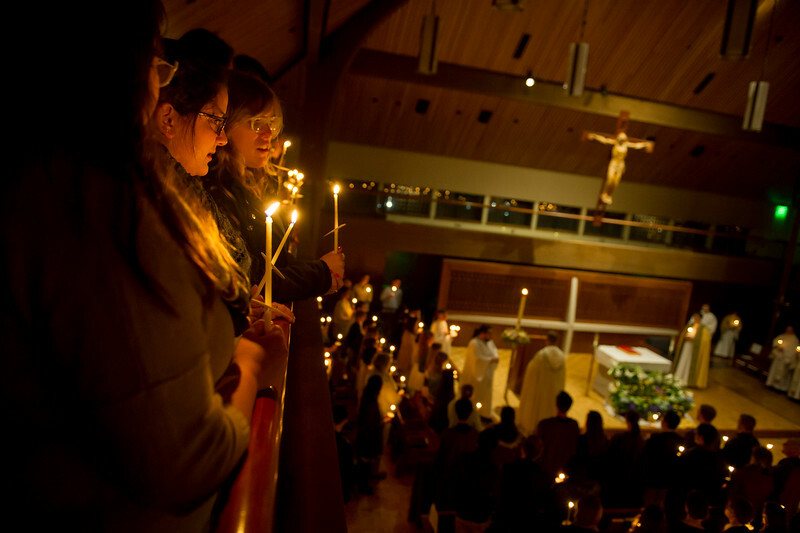 As a reminder, we will offer Morning Prayer at 9:00 am in the Chapel of Christ the Teacher on Holy Thursday, Good Friday, and Holy Saturday. Join us on Good Friday as we walk from campus to the Downtown Chapel of St. André Bessette, praying the Stations of the Cross along the way. Led by the Servant Leadership Team, the pilgrimage will begin at 9:30 am (directly following Morning Prayer at 9:00 am) at the Chapel of Christ the Teacher. Bus tickets will be provided to return to campus (around 1:00 pm).